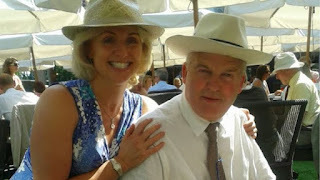 Euthanasia Prevention Coalition Euthanasia Prevention Coalition: "I was devastated by my husband's assisted death." "I was devastated by my husband's assisted death." A few days ago I published the article: She now opposes assisted suicide, after her husband died at a Swiss assisted suicide clinic concerning the book by Deborah Binner about the death of her husband at a Swiss assisted suicide clinic and the natural death of her daughter. "There was a sense of people saying, 'Hasn't he done a wonderful thing?' But I had two children who were in bits,"
"Simon's death wasn't bad - but when you open the gate, what happens next?" she says. "Older lonely people, or people sitting on lots of money, people already feel a burden - it's something, how we value human life, that really worries me." In the previous article Deborah suggested that filming Simon's death influenced his interest in assisted suicide. He was keen to document his experience — he had a strong altruistic streak and wondered if it would be of use to someone else. Subconsciously, I thought he’d forget about it and we could get on with living, albeit in a different way, as we had with Chloë. But he deteriorated quickly over the next few months. When Simon traveled to the clinic in Switzerland to die, in October 2015, he was accompanied by his wife and a film crew. The resulting BBC documentary, How to Die: Simon's Choice, was the only good thing to come out of it, Deborah says. "He had an altruistic streak so he felt that letting them follow him would benefit lots of people. "It was almost backing me into a corner and making me feel there was something worse. He was showing 'how desperate I am'. Chloë's death had been gentle, which Deborah says was the key to her being able to live on. "How Simon died - it was so different - there was the worry if we were doing the right thing. 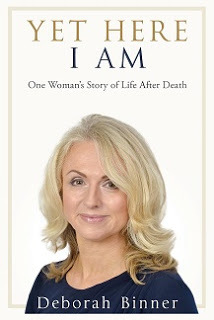 Deborah's book - Yet Here I Am is about her experiences with the assisted suicide death of her husband and the natural death of her daughter Chloë a few years earlier.